This album is at a point when Emerson Lake and Palmer's creative juices were starting to run low. Instead of an album in which they play together as a group, they decided to have a double LP, each member getting their own side, and the final side being a group effort. The group side is good, but the individual sides go from great to attrocious. The album begins with Emerson's side, a piano concerto that he composed. I really do enjoy this work, it brings up most of my favorite composers to mind. And his piano work is fantastic, with frenetic runs up and down the black and whites. The next side is a bunch of Lake/Sinfield pop ballads that I don't really enjoy at all. It's all a bit to on the edge of sappiness. The best song on this side is either Closer to Believing or Hallowed be Thy Name, depending on which mood I'm in. Carl Palmer's side takes a turn for the betterm starting off with some really strong tracks. Then he get's to those tracks that sound like they could have been on Miami Vice. Now I'm not saying their bad, their just not my thing. After a stellar Two Part Invention in D minor and Food for your soul, he does a reworking of Tank. 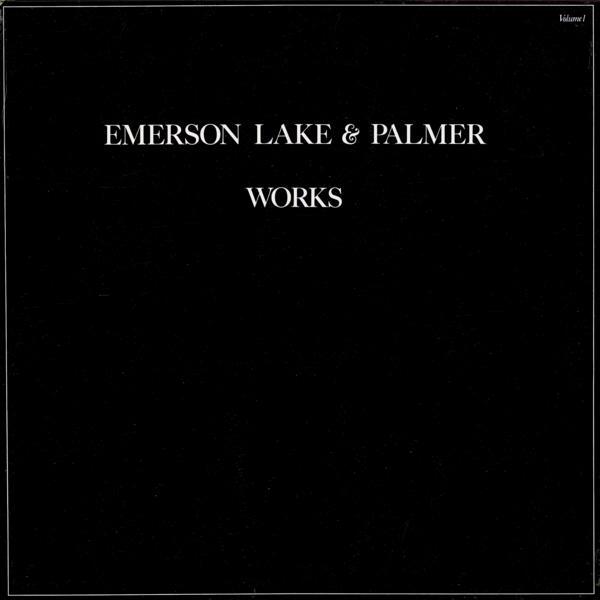 The version on the first ELP album is a lot better than the reworking. The final side is a group effort, easily the best part of the album. They start off with a version of 'Fanfare for the Common Man', and this version is very very good. I really can get into their epic reworking of it. The next song is an ELP fan favorite 'Pirates', clocking in at 13 minutes, this song gives you the feeling of being at the open sea and participating in the shenanigans that Pirates did. Overall, it was a solid effort. Unfortunately, if the album was an entire group effort, it would have been better received. They've been known to be pretentious, and this was an exhibit of it.